Calgary, Alta. – The Western Hockey League announced today that Lethbridge Hurricanes forward Dylan Cozens has been named the WHL Rookie of the Month for April 2018. 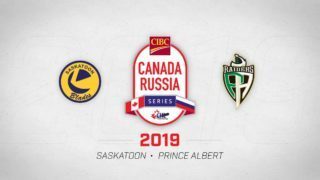 Cozens recorded seven points (4G-3A) and a plus-two rating in 11 games this month as the Hurricanes advanced to the Eastern Conference Championship for a second straight year, falling in six games to the Swift Current Broncos. 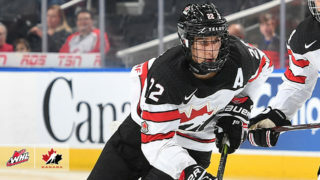 The month was a productive one for the 6-foot-3, 177-pound product of Whitehorse, Yukon as he helped the Hurricanes eliminate the Brandon Wheat Kings in the second round WHL Playoffs series. Cozens was also effective during the Eastern Conference Championship against the Broncos, recording two multi-point games, one of which was a multi-goal performance. One of his goals came on the power play. Cozens was recognized as the second star of the game and third star of the game. 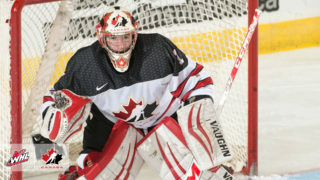 He was once recognized as the WHL’s second star of the night. Originally selected by the Hurricanes in the first round, 19th overall, of the 2016 WHL Bantam Draft, Cozens finished the 2018 WHL Playoffs with 13 points (7G-6A) in 16 games, . The 17-year-old has already accumulated 28 games of WHL Playoffs experience, recording 21 points (10G-11A). This is Cozens’ second time earning the WHL Rookie of the Month Award. 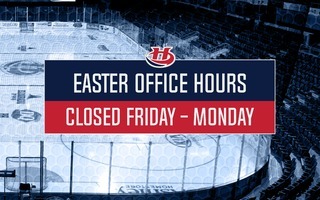 After appearing in three regular season games during the 2016-17 WHL regular season, scoring one goal, Cozens played in 57 contests with the Hurricanes during the 2017-18 WHL regular season, recording 53 points (22G-31A), including eight power-play goals, one short-handed goal, and four game-winning goals. 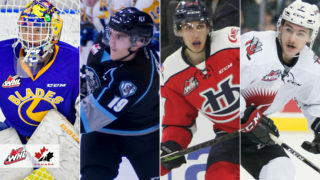 Cozens is currently in contention for the Jim Piggott Memorial Trophy as the WHL’s Rookie of the Year. In late March, Cozens was named the 2017-18 Eastern Conference Rookie of the Year.